This bedding is made from 100% recycled paper. That means you can feel good about using Fresh News because you’re also helping to divert paper from landfills. As an added bonus, this litter is biodegradable when composted so you can continue to help the environment! 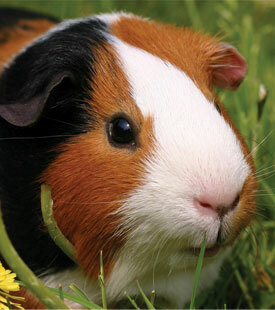 Keep your home clean and help the environment with Fresh News Small Animal Bedding. Fresh News Products are made from post-consumer recycled paper making this bedding non-allergenic, dust free and biodegradable when composted. The moisture locking particles and outstanding odor control work together to help neutralize habitat and litter pan odors. Fresh News Small Animal Bedding is available internationally in resealable 10,00ccm (10 Liter) and 40,000ccm (40 Liter) packages. Fresh News lasts longer than its competitors meaning your pocketbook can stay home for the next trip to the pet store. This bedding is also virtually dust free, so you can feel good about pouring it into your pet’s cage. Fresh News Bedding is safe & soft for your pet’s home; and clean & fresh for your home! This bedding is made from 100% recycled paper. That means you can feel good about using this bedding because you’re also helping to divert paper from landfills. As an added bonus, this litter is biodegradable when composted so you can continue to help the environment! Fresh News Small Animal Bedding is available internationally in reclose-able 10,00ccm (10 Liter) and 40,000ccm (40 Liter) packages. Fresh News last longer than its competitors meaning your pocketbook can stay home for the next trip to the pet store. This bedding is also virtually dust free, so you can feel good about pouring it into your pet’s cage. Fresh News Bedding is safe & soft for your pet’s home; and clean & fresh for your home!